Tspoons Cooking Classes Make the Perfect Gift! – CLICK HERE for Our Gift Certificates! Tspoons is a Fun-filled Learning Experience for Everyone! 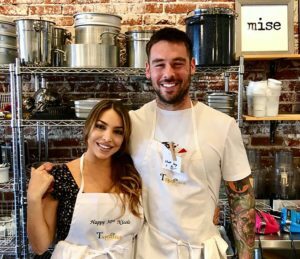 Tspoons is a unique cooking school in Orange County that specializes in hands-on cooking classes, as well as customized cooking parties and team builders. At Tspoons, our guests apply essential skills and techniques taught in class and receive hands-on instruction from our Chef Instructors. 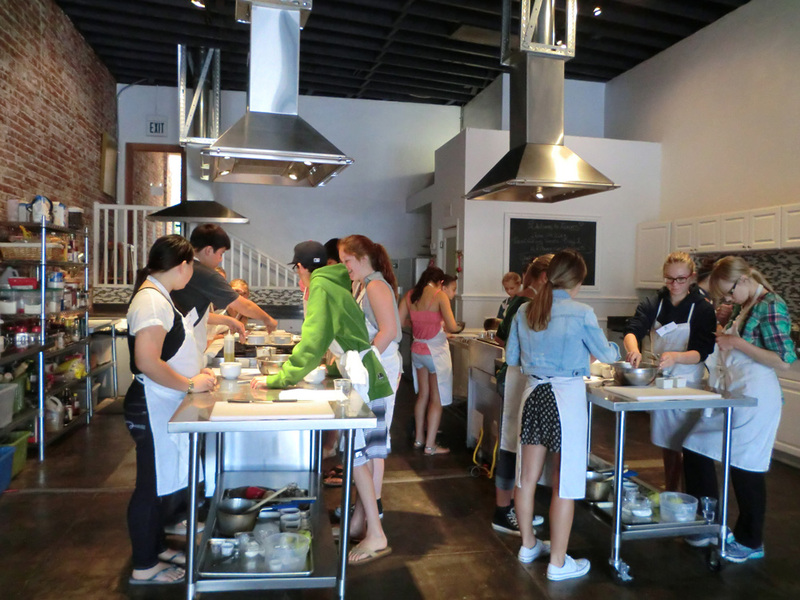 A variety of daily cooking classes, featured guest Chefs, technique classes and skills workshops are offered for adults, teens, and children. With advance notice, food substitutions can be made to class menus to accommodate most dietary restrictions. 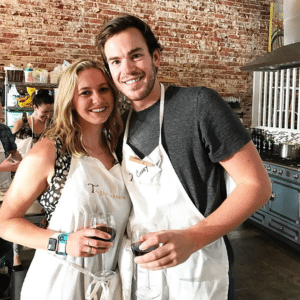 Classes and themes include Sushi 101, Authentic Thai Cuisine, Pastry and Baking Workshops, Date Night in Paris, Homemade Pasta and Sauces, Weeknight Dinners for the Family and so much more! For those that prefer to refine their cooking skills, Tspoons offers skills and technique classes, such as Essential Knife Skills and our extensive 5-Week Cooking Fundamentals Courses. For the young aspiring Chefs, we offer our popular Kids and Teen Cooking Series as well as our Parent and Me Cooking and Baking Classes. Every class is interactive and hands-on with an average of 12-16 students per class. Students learn about and prepare each dish on the menu and, since class sizes are small, all students receive personal attention from our Chef Instructors. For those that prefer to refine their cooking skills, Tspoons offers skills and technique classes, such as Essential Knife Skills and our extensive 5-Week Cooking Fundamentals Courses. 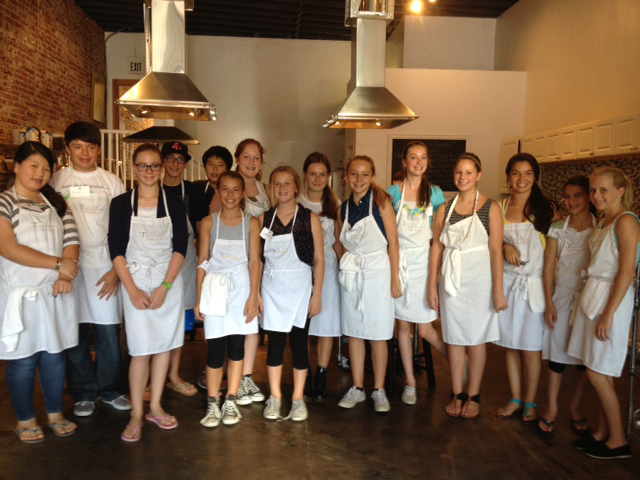 For the young aspiring Chefs, we offer our popular Kids and Teen Cooking Series as well as our Parent and Me Cooking and Baking Classes. Tspoons is a fun-filled learning experience for everyone!